Sometimes you’ll find apps not showing in iTunes. In the past, this problem was long associated with an outdated version of iTunes, outdated iOS firmware and even jailbreaking device. But recently the problem has become even more pronounced even in non-jailbreak devices. If you are unable to see apps in iTunes, you’re in the right place. This article will help you determine exactly why it’s happening as well as offer you a few solutions you can try. Like we mentioned before, users often blamed Apps not showing in iTunes Library on an outdated version of the program. Yet, apps can still be invisible in iTunes 12.7. If you are Running iTunes 12.7 you should know that Apple has significantly changed iTunes such that it doesn’t sync apps and ringtones anymore and mainly focuses on movies, music, podcasts, audiobooks and TV Shows. Much of the iTunes functionality as you know it has changed which is why you may be unable to see apps in iTunes. To begin with, there is no Apps tab in the iTunes library anymore. The “Apps” tab under device is also missing and so is the “Store” tab. Step 1: On your device, tap on the “App Store” to open it. Step 2: Tap on the “Featured” section at the bottom of the screen. 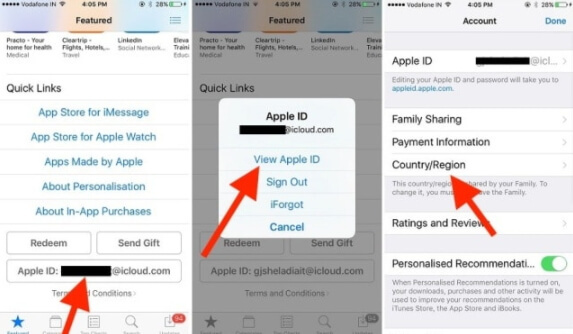 Step 3: Scroll down to find your Apple ID. Tap on the ID to open additional options. Step 4: Tap on “Sign Out”. Step 5: Now sign in back into your account to see if the problem has been fixed. Another way you can fix this problem is to transfer all the apps on your device to your computer so that are synced and available on both iTunes and the device. Follow these simple steps to do it. Step 1: Open the iTunes app on your computer and then connect the iPhone to the computer using USB cables. Step 3: When the sidebar appears, find the device and right-click on it. Select “Transfer Purchases” from the options presented. 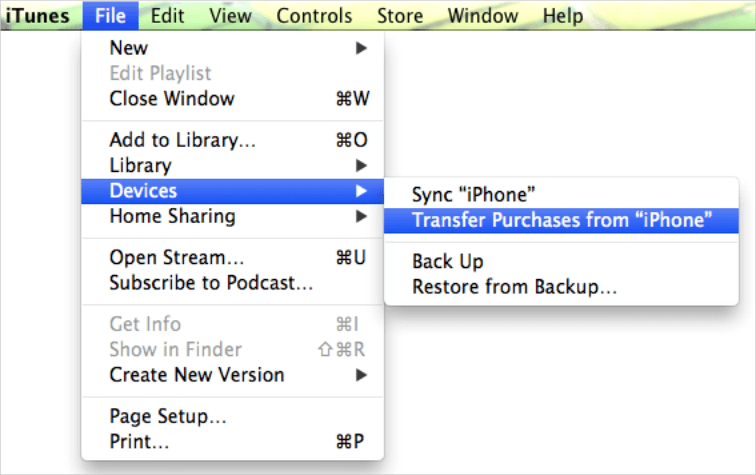 This will transfer all your purchases and download to iTunes and you’ll be able to see them when you open iTunes. If all solutions you try don’t work to fix the device, you may want to restore the iPhone and set it up as new. Most people will restore a device in iTunes or iCloud while these two methods can be reliable, they can also lead to data loss. The data restored back to your device will often not include any new data that wasn’t in the backup. To avoid this problem you could try using a third-party tool like iMyFone D-Port Pro Backup & Restore Tool to restore an iPhone system. This backup and restore tool is ideal because it makes these process easy and may even protect you from data loss. 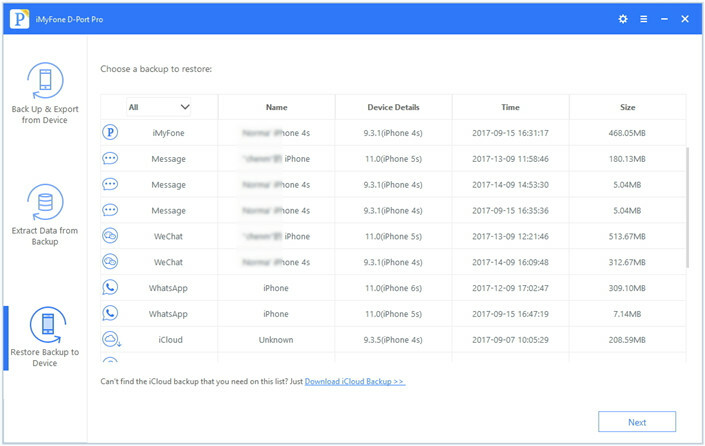 You can also choose to restore part of the backed up data or restore all the data back to the device without overwriting previous backup. It can also be used to easily export data from your device to your computer. It’s reliable, it is highly recommended by many noted media, including Macworld, APPKED, Pcworld, 9to5mac, Techradar, etc. You can download the free trial version to have a try!